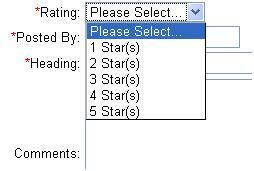 This MOD replaces the standard rating dropdown box with a dynamic click-able 5 Star rating system. This gives a much more polished look to your website. 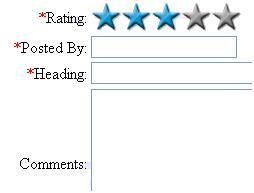 You can use your own "stars" to make it match the feel of your website. Be sure to move your mouse over the stars and click to set, click again to change.